* Companies pay, hoping research points them–like the North Star–to a money-making business name. *Basketball fans bet on new names–so long Sacramento Kings, hello Seattle SUPERSonics! Just days after Vladimir Lenin’s death – 89 years ago today – that provocative, Peter-the-Great city of the Russian Empire changed names: to Leningrad, “the city of three revolutions.“ Streets, squares, museums, and more were named after this Russian revolutionary. The city is perched on the western edge of Russia/USSR, not unlike the strong sense of place I feel in Seattle, living at the western cutting-edge of the USA. I once lived there, not so long ago (it seems). It was called Leningrad and I attended Leningrad State University, in a country called the USSR. I even wore a ‘Baby Lenin’ pin on my dress–pretty cool, back in the day. Before Leningrad it was Petrograd, and before that Saint Petersburg. These days, it’s not Leningrad, anymore. It’s not the USSR, anymore. And my ‘Baby Lenin’ pin isn’t worn anymore, but rather a sought-after relic for collectors. Change in St. Petersburg is the real name of the game: mind-boggling change. Changing names of that city – back to its original Saint Petersburg–seems inevitable, and somehow right: a place rooted in history of spirited revolution, transformation, and change. 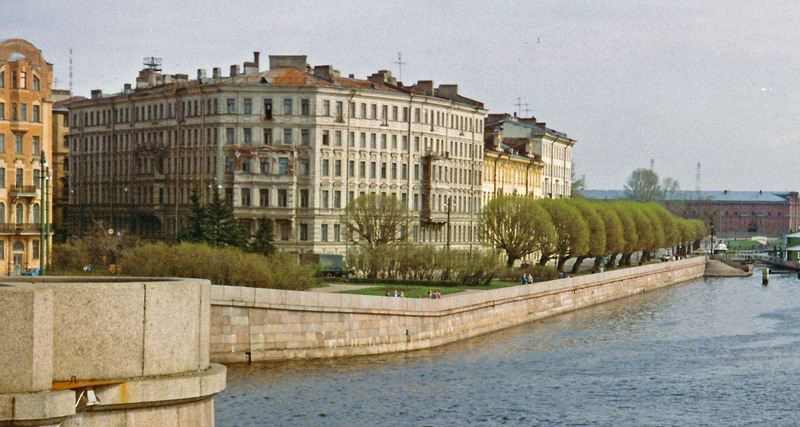 Tags: change, Helen Holter, Leningrad, Russia, St. Petersburg, travel, U.S.S.R.. Bookmark the permalink.